Census taken for the UK goverment on the 8th April 1891. Hilton Census taken by James Watt. Balintore Census taken by Alexander Wallace. Shandwick Census taken by James Alex Ross. Listed per house, first listed, head of house, then listed as relation to head of house, M[arried] or U[nmarried], age, M[ale]or F[emale], Parish of Birth, Occupation. 1 Lady Street [shown as 19 Lady Street in 1881 census]. David Tarrel, M, 45, M, Fearn, fisherman. Bella Tarrel, daughter, U, 22, F, Fearn. David Tarrel, son, U, 19, F, Fearn. Hugh MacKay, widower, 64, M, Fearn, retired fisherman. Bella Fraser, U, 42, F, Fearn, spirit seller. Margaret Ross, sister, M, 46, F. Fearn, retired blacksmith’s wife. John Ross, brother in law, M, 62, M, Tarbat, retired blacksmith. Hugh Sutherland, M, 55, M, Fearn, fisherman. Johan Sutherland, wife, 56, F, Fearn. Mary Sutherland, daughter, U, 16, F, Fearn. Donald Sutherland, son, U, 11, M, Fearn, scholar. John B. Sutherland, son, U, 9, M, Fearn, scholar. Mary Watson, boarder, 84, F, Cromarty, living on private means. John MacDonald, M, 65, M, Fearn, fisherman. Jessie MacDonald, wife, 60, F, Fearn. John MacDonald, son, 20, M, Fearn. Charles MacKay, M, 40, M, Fearn, fisherman. Ann MacKay, wife, 35, F, Fearn. Catherine MacKay, daughter, U, 11, F, Fearn, scholar. David MacKay, son, U, 7, M, Fearn, scholar. Annie MacKay, daughter, U, 7, F, Fearn, scholar. Dolina MacKay, daughter, U, 9 months, F, Fearn. David Sutherland [Moll], M, 52, M, Fearn, fisherman. Margaret Sutherland, wife, 52, F, Fearn. Hugh Tarrel, U, 47, M, Fearn, boat carpender. Bella Tarrel, U, 44, F, Fearn, domestic general servant. William Sutherland, M, 60, M, Fearn, fisherman. Jessie Sutherland [nee MacKay], wife, 52, F, Sutherland. Bella Sutherland, daughter, U, 29, F, Fearn. Davidina Sutherland, daughter, U, 20, F, Fearn, domestic general servant. Donald Sutherland, son, U, 18, M, Fearn. Jessie Sutherland, daughter, U, 15, F, Fearn. Hugh Sutherland [Billy], son, U, 13, M, Fearn, scholar. 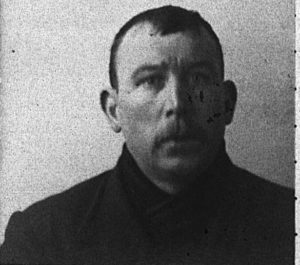 Drowned when the Ella Brewster sank off Fort George on the 13th of September 1912, his body was recovered on the Moray coast. Alexander Sutherland, M, 45, M, Fearn, fisherman. Had the boat INS1396, named Ellen, keel 34 feet. Jessie Sutherland, wife, 40, F, Fearn. Andrew Sutherland, son, U, 15, M, Fearn. Dolina Sutherland, daughter, U, 8, F, Fearn, scholar. Janet MacDonald, widow, 60, F, Dornoch, fisherwoman. Bella MacDonald, widow, 72, F, Fearn, living on parochial relief. Donald Tarrel, widower, 53, M, Fearn, fisherman. John Tarrel, son, U, 20, M, Fearn. Maggie Tarrel, daughter, U, 18, F, Fearn, domestic general servant. Williamina Tarrel, daughter, U, 13, F, Fearn, scholar. Alexander Vass, M, 30, M, Fearn, fisherman. Private A. Vass, Seaforth Highlanders, King Street, Hilton, fought at the Battle of Tel-El-Kebir in Eygpt in 1882. Jessie Vass, wife, 26, F, Fearn. Hugh Vass, son, U, 4, M, Fearn. RNR, WW1. Hugh Vass, Lady Street, Hilton. Donald Vass, son, U, 3, M, Fearn. RNR, WW1. Merchant Navy. Donald Vass, born 8th November 1892?, 13 Lady Street, Hilton. Mother Jessie Vass. Eppy MacAngus, boarder, U, 24, F, Fearn, living on parochial relief. Donald MacKenzie, M, 48, M, Fearn, fisherman. Had the boat INS1835, named Countess of Seafield, keel 33 feet. Bella MacKenzie, wife, 47, F, Fearn. Hugh MacKenzie, son, U, 21, M, Fearn. Anne MacKenzie, daughter, U, 19, F, Fearn. John MacKenzie, son, U, 14, M, Fearn. Bella MacKenzie, daughter, U, 10, F, Fearn, scholar. Donald MacKenzie, son, U, 5, M, Fearn, scholar. John MacKenzie, M, 50, M, Fearn, fisherman. Known as Ian Rudh [pronounced Roo, Gaelic for Red John, he had red hair]. Jane MacKenzie, wife, 45, F, Portgower, Sutherland. John MacKay, M, 45, M, Fearn, fisherman. Katie MacKay, wife, 39, F, Fearn. Alexander MacKay, son, U, 16, Fearn. Hugh MacKay, son, U, 14, M, Fearn. Maggie MacKay, daughter, U, 9, F, Fearn, scholar. Donald MacKay, son, U, 7, M, Fearn, scholar. Catherine MacKay, daughter, U, 2, F, Fearn. William MacKay, son, U, 10 months, M, Fearn. Jessie MacDonald, widow, 46, F, Fearn, living on private means. Katie MacKay, U, 40, F, Fearn, living on parochial relief. Jessie MacKay, U, 40, F, Fearn, living on private means. 16 Lady Street [shown as 1 Park Street in 1881 census]. Alexander Denoon, M, 65, M, Tarbat, coal merchant. Died June 1911. Elizabeth Denoon, wife, 47, F, Clyne, Sutherland. David Denoon, son, U, 28, M, Fearn, agricultural labourer. Benjamin Denoon, son, U, 16, M, Fearn, agricultural labourer. Joseph J. Denoon, son, U, 9, M, Fearn, scholar. Catherine Denoon, daughter, U, 6, F, Fearn, scholar. Christina MacDonald, U, 33, F, Urray, Ross & Cromarty, school mistress. Married James Watt, the headmaster. 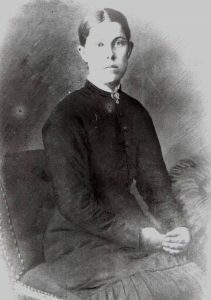 Henrietta MacDonald, sister, U, 22, F, Forres, Moray, pupil teacher. Janet E, MacDonald, sister, U, 18, F, Glen Urquhart, Inverness, dressmaker. Janet Ross, U, 75, F, Fearn, living on parochial relief. 17 Lady Street [shown as 3 Park Street in 1881 census]. Ann Ross, widow, 60, F, Fearn, living on private means. Bella Ross, daughter, U, 20, F, Fearn, domestic general servant. William Ross, son, U, 7, M, Fearn, scholar. Margaret Ross, widow, 80, F, Embo, Sutherland, living on parochial relief. 18 Lady Street [shown as 4 Park Street in 1881 census]. Margaret Ross, widow, 48, F, Fearn, living on parochial relief. William Ross, son, U, 23, M, Fearn, fisherman. Margaret Ross, daughter, U, 11, F, Fearn, scholar. Hugh Ross, son, U, 9, M, Fearn, scholar. Janet MacAngus, widow, 40, F, Fearn, living on parochial relief. John MacAngus, son, U, 16, M, Fearn, agricultural labourer. Bella MacAngus, daughter, U, 13, F, Fearn, scholar. William MacAngus, son, U, 11, M, Fearn, scholar. Jessie MacAngus, daughter, U, 8, F, Fearn, scholar. Donald MacAngus, son, U, 5, M, Fearn, scholar. Jane MacAngus, daughter, U, 3, F, Fearn. 19 Lady Street [ shown as 5 Park Street in 1881 census]. William Mackenzie, Married, age 28, male, birthplace Parish of Fearn, salmon fisher. Jessie Mackenzie, Wife, 29, female, Fearn. William Mackenzie, son, 1, male, Fearn. Born 7th January 1890, Merchant Navy, RNR No. 9676DA, died Aberdeen 1940. 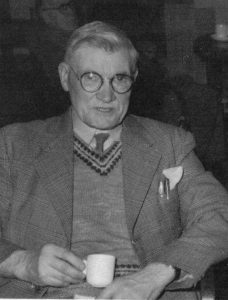 William MacKenzie, born 7th January 1890, Hilton. Helen [ Ellen in 1881] Skinner, Widowed, 60, F, Fearn. Living on parochial relief. Donald Skinner, son, 12, M, scholar [imbecile]. Bella Tarrel, widow, 60, F, Fearn, living on private means. Margaret Tarrel, sister, U, 50, F, Fearn, living on private means. 21 Lady Street [ shown as 7 Park Street on 1881 census]. John MacDonald, widower, 60, M, Fearn, fisherman. Donald MacDonald, son, U, 35, M, Fearn. Annie MacDonald, daughter, U, 30, F, Fearn, domestic servant. 22 Lady Street [ shown as 8 Park Street in 1881 census]. Donald Ross [McOmash], M, 48, M, Fearn, fisherman. Eliza Ross [nee McRae], wife, 40, F, Brora. William Ross, son, U, 22, M, Fearn. Catherine Ross, daughter, U, 18, F, Fearn. 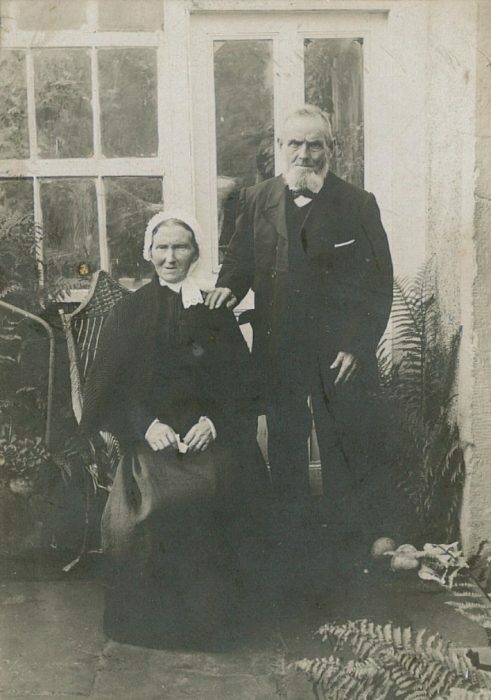 Married William Urquhart, fisherman, Clyne, Brora, on the 11th September 1891. Hector Ross, son, U, 16, M, Fearn. Donald Ross, son, U, 14, M, Fearn, scholar. Jane Ross, daughter, U, 9, F, Fearn, scholar. Eliza Ross, daughter, U, 7, F, Fearn, scholar. 23 Lady Street [ shown as 9 Park Street in 1881 census]. Ann MacKay [ McPeter], widow, 72, F, Clyne, Sutherland, living on parochial relief. 24 Lady Street [ shown as 10 Park Street in 1881 census]. Donald Sutherland, U?, 60 [only 38 in 1881 census], M, Fearn, fisherman. David Sutherland, son?, U, 44, M, Fearn. Barbara Sutherland, daughter?, U, 40, F, Fearn, domestic servant. No number 25 Lady Street listed. 26 Lady Street [shown as 12 Park Street in 1881 census]. Alexander MacDonald, M, 67, M, Fearn, fisherman. Catherine MacDonald, wife, 60, F, Fearn. John MacDonald, grandson, U, 11, M, Fearn, scholar. 27 Lady Street [shown as 13 Park Street in 1881 census]. Bella Skinner, U, 33, F, Fearn, living on private means. Margaret Ross, widow, 60, F, Fearn, carter’s widow. William MacAngus, U, 28, M, Fearn, fisherman. Ann MacKenzie, widow, 44, F, Fearn, domestic servant. Dolina MacKenzie, U, 15, F, Fearn, domestic servant. Ann MacAngus, boarder, widow, 55, F, Fearn, living on parochial relief. 1 Hill Street [ shown as 16 Park Street in 1881 census]. Ann Sutherland, widow, 60, F, Fearn, general merchant. Maggie Sutherland, daughter, U, 25, F, Fearn, shop girl. 2 Hill Street [ shown as 17 Park Street in 1881 census]. Christina MacAngus, widow, 80, F, Fearn, living on private means. Christina MacAngus, daughter, U, 36, F, Fearn, message woman. Half House [ shown as 18 Park Street in 1881 census]. Alexander MacDonald, M, 60, M, Fearn, fisherman. Marion MacKay, wife, 50, F, Dornoch. Isabella MacDonald, daughter, U, 35, F, Fearn, domestic servant. Alick MacDonald, son, U, 27, M, Fearn, baker. Hugh MacDonald, son, U, 22, M, Fearn. Bella MacKay, visitor, U, 30, F, Dornoch, domestic servant. Lexy MacAngus, widow, 60, F, Fearn, living on private means. Donald MacAngus, M, 29, M, Fearn, general labourer. Lexy MacAngus, daughter, U, 2, F, Tain. Andrewina MacAngus, daughter, U, 9 months, F, Tain. Alexander MacAngus, U, 42, M, Fearn, agricultural worker. Isabella MacAngus, sister, U, 44, Fearn, outdoor worker on farm. Isabella MacAngus, niece, U, 5, F, Fearn, scholar. Catherine Munro, boarder, 66, F, Helmsdale, living on private means. Robert Ross, M, 67, M, Fearn, thatcher. Mary Ross, wife, 68, F, Fearn. Jane Ross, U, 63, F, Fearn, retired domestic servant. Robert Ross, M, 55, M, Fearn, general merchant. Elizabeth Ross, wife, 55, F, Criech, Sutherland. Alexander Ross, M, 66, M, Fearn, gardener. Euphemia Ross, wife, 66, F, Tarbat. 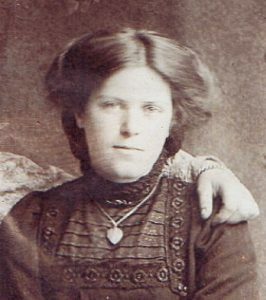 Euphemia Ross, daughter, U, 27, F, Fearn, dressmaker. Jessie MacDonald, widow, 60, F, Fearn, living on private means. Alexander Skinner [ the Graiseach], M, 42, M, Nigg, shoemaker. Died 1926. 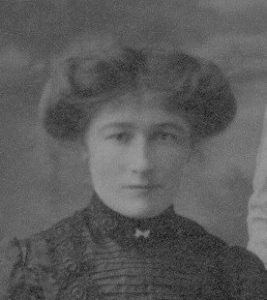 Isabella Skinner [ nee Mitchell], wife, 38, F, Tarbat [Rockfield]. Died 1914. Alexander Skinner, son, U, 10, M, Fearn, scholar. Married Christina [Teenie] MacAngus. Alexander died 1960. Thomas Skinner, son, U, 8, M, Fearn, scholar. Baker to trade. Proprietor of the Crown Bakery, Inverness. Died 1973. James Skinner, son, U, 6, M, Fearn, scholar. Died 1963. Donald [Dan] Skinner, son, U, 3, M, Fearn. Owned the shop in Arabella, with grocer’s van going round the villages. Died 1970. William Robert Skinner, son, U, 1, M, Fearn. Died 1970. Ann MacKay, widow, 67, F, Fearn, living on private means. Nannie MacDonald, widow, 60, F, Fearn, fisherman’s widow. Hugh MacDonald, son, U, 31, M, Fearn, fisherman. Helen Gunn, widow, 45, F, Fearn, carter’s widow. William Gunn, son, U, 19, M, Fearn, carter. Alexander Gunn, son, U, 12, M, Fearn, scholar. Christina MacKillop, boarder, U, 90, F, Fearn, living on parochial relief. William Tarrel, M, 80, M, Fearn, retired fisherman. Ann Tarrel, wife, 70, F, Fearn. William MacKenzie, M, 60, M, Fearn, fisherman. June MacKenzie, wife, 52, F, Fearn. Bella Campbell [nee Sutherland], wife, 35, F, Fearn, sailor’s wife. 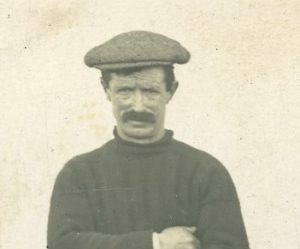 Husband Kenneth Campbell, aged 45, born Sheildaig, was lost when the schooner Janet Storm disappeared on route from Hartlepool to Fraserburgh in October 1892. John Campbell, son, U, 6, M, Fearn, scholar. Elsie Campbell, daughter, U, 5, F, Fearn, scholar. Maggie Campbell, daughter, U, 3, F, Fearn. Lilly MacKenzie, widow, 60, F, Fearn, living on private means. William Sutherland, U, 44, M, Fearn, fisherman. Mrs. George Sutherland, sister, widow, 75, F, Fearn. Bella Sutherland, sister, U, 50, F, Fearn. William A. Ferguson, nephew, U, 11, M, Fearn, scholar. Margaret MacKenzie, U, 55, F, Fearn, living on private means. Lilly MacKenzie, sister, U, 34, F, Fearn, living on private means. Maggie MacKenzie, niece, U, 13, F, Fearn, scholar. Hugh Vass, M, 60, M, Fearn, fisherman. Catherine Vass, wife, 50, F, Fearn. John Vass, son, U, 22, M, Fearn. Annie Vass, daughter, U, 18, F, Fearn. Barbara Vass, daughter, U, 13, F, Fearn, scholar. John Wilson, widower, 60, M, Nairn, fisherman. Catherine Wilson, daughter, U, 40, F, Fearn, fisherwoman. John Wilson, son, U, 30, M, Fearn. David Wilson, son, U, 25, M, Fearn. Maggie Wilson, granddaughter, U, 9, F, Fearn, scholar. Donald Sutherland [Mossie], U, 44, M, Fearn, fisherman. Elsie Sutherland, sister, U, 42, F, Fearn. Georgina Sutherland, sister, U, 29, F, Fearn. Bell Ann’s mother. Bella Ann Sutherland, niece, U, 1, F, Fearn. Dolly ‘s MacDonald’s mother. Bel-Ann McAngus [nee Sutherland], Hilton, 1975. William MacAngus, M, 45, M, Fearn, fisherman. Catherine MacAngus, wife, 42, F, Fearn. Donald MacAngus, son, U, 18, M, Fearn. Bella MacAngus, daughter, U, 17, F, Fearn. Catherine MacAngus, daughter, U, 12, F, Fearn, scholar. Maggie MacAngus, daughter, U, 8, F, Fearn, scholar. Donald MacAngus, M, 80, M, Fearn, retired fisherman. Bella MacAngus, wife, 76, F, Fearn. Hellen Sutherland, widow, 63, F, Fearn, living on private means. 1 Mid Street [ shown as 1 Back Street in 1881 census]. Bella Sutherland, widow, 60, F, Embo, living on private means. 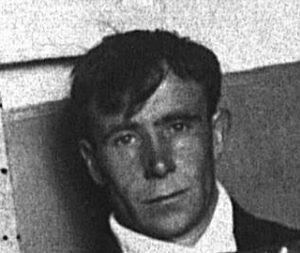 Donald Morrison, M, 30, M, Nigg, agricultural labourer. Barbara Morrison, wife, 30, F, Fearn. Dolina Morrison, daughter, U, 2, F, Fearn. John Morrison, son, U, 1, M, Fearn. Alexander Morrison, son, U, 1 month, M, Fearn. 2 Mid Street [shown as 2 Back Street in 1881 census]. Finlay Tarrel, M, 50, M, Fearn, fisherman. Had the boat INS554, named Fairy, keel 35 feet. Also used the surname MacDonald. Jessie Tarrel [ nee MacKay], wife, 42, F, Clyne, Sutherland. Hugh Tarrel, son, U, 23, M, Fearn. Maggie Tarrel, daughter, U, 17, F, Fearn. Dolina Tarrel, daughter, U, 15, F, Fearn. John Tarrel, son, U, 11, M, Fearn, scholar. 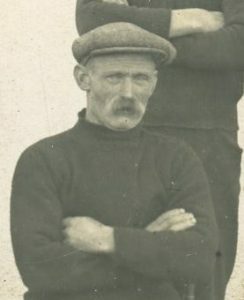 Drowned when the Ella Brewster sank off Fort George on the 13th of September 1912, his body was found on the shoreline at Kintradwell, Loth, Sutherland on the 27th of October 1912. Finlay Tarrel, son, U, 6, M, Fearn, scholar. 3 Mid Street [ shown as 3 Back Street in 1881 census]. John Tarrel, M, 46, M, Fearn, fisherman. Jessie Tarrel, wife, 46, F, Fearn. Ann Tarrel, daughter, U, 18, F, Fearn. Williamina Tarrel, daughter, U, 14, F, Fearn, scholar. Alexander Tarrel, son, U, 12, M, Fearn, scholar. Lilly Tarrel, daughter, U, 9, F, Fearn, scholar. John Tarrel, son, U, 5, M, Fearn, scholar. Donald Tarrel, son, U, 3, M, Fearn. 4 Mid Street [ shown as 4 Back Street in 1881 census]. John Tarrel, M, 38, M, Fearn, fisherman. Bella Tarrel, wife, 36, F, Fearn. David Tarrel, son, U, 10, M, Fearn, scholar. Hugh Tarrel, son, U, 8, M, Fearn, scholar. Annie Tarrel, daughter, U, 6, F, Fearn, scholar. Jessie Tarrel, daughter, U, 5, F, Fearn, scholar. William Tarrel, son, U, 3, M, Fearn. Born January 1st 1888, graduated Aberdeen University, MA, 1913. Joined the Gordon Highlanders as a private in WW1. Commissioned as a Lieutenant in the 6th Black Watch, served in France. Maggie Tarrel, daughter, U, 1, F, Fearn. Donald Wilson, widower, 36, M, Fearn, fisherman. Jane Wilson, daughter, U, 15, F, Fearn. Isabella Wilson, daughter, U, 13, F, Fearn, scholar. 5 Mid Street [ shown as 5 Back Street in 1881 census]. Alexander MacKay, M, 57, M, Fearn, fisherman. Christina MacKay, wife, 51, F, Fearn. Isabella MacKay, daughter, U, 28, F, Fearn. David MacKay, son, U, 22, M, Fearn. Alexander MacKay, son, U, 20, M, Fearn, agricultural labourer. Donald Mackay, son, U, 16, M, Fearn. James A. MacKay, grandson, U, 10 months, M, Fearn. Hugh MacKay, M, 34, M, Fearn, fisherman. Jane MacKay, wife, 33, F, Fearn. Jessie MacKay, daughter, U, 13, F, Fearn, scholar. Margaret MacKay, daughter, U, 10, F, Fearn, scholar. Alexander MacKay, son, U, 8, M, Fearn, scholar. Jane MacKay, daughter, U, 6, M, Fearn, scholar. Mary Ann MacKay, daughter, U, 3, M, Fearn. Hugh MacKay, son, U, 1, M, Fearn. Hugh MacKay, 1 King Street, Hilton. Born 1890. Lewis M. MacKay, son, U, 5 months, M, Fearn. Mary Sutherland, widow, 50, F, Embo, Sutherland, living on private means. Hugh Tarrel, widower, 60, M, Fearn, fisherman. Hugh Tarrel, son, U, 28, M, Fearn. Ann Tarrel, daughter, U, 26, F, Fearn. Donald Tarrel, son, U, 24, M, Fearn. William Tarrel, son, U, 22, M, Fearn. Margaret Tarrel, daughter, U, 20, F, Fearn. Alexander Ross [McOmash], M, 67, M, Fearn, fisherman. Bella Ross, wife, 50, F, Fearn. Dolina Ross, daughter, U, 16, F, Fearn. Alexander Ross, son, U, 13, M, Fearn. William Ross, son, U, 10, M, Fearn. Finlay Ross, M, 54, M, Fearn, fisherman. Jessie Ross, wife, 50, F, Fearn. Donald Ross, son, U, 25, M, Fearn. Alexander Ross, son, U, 23, M, Fearn. Finlay Ross, son, U, 18, M, Fearn. William Ross, son, U, 13, M, Fearn. Hugh Ross, son, U, 9, M, Fearn. William Sutherland, M, 73, M, Fearn, fisherman. Christina Sutherland, wife, 63, F, Fearn. Andrew Sutherland, grandson, U, 14, M, Fearn, scholar. Married Jane [Jeana] MacKenzie. David Sutherland, grandson, U, 10, M, Fearn, scholar. Andrewina MacKay, M, 57, F, Fearn, brushing and scrubbing school. 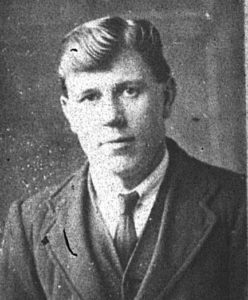 Hugh MacKay, son, U, 16, M, Fearn, agricultural labourer. Catherine MacKenzie, widow, 55, F, Fearn, living on private means. Hugh [Uisdean] MacAngus, M, 50, M, Portgower, Sutherland, fisherman. Jessie MacAngus [nee Tarrel], wife, 46, F, Fearn. Donald MacAngus, son, U, 23, M, Fearn. Andrew MacAngus, son, U, 20, M, Fearn, salmon fisher. John MacAngus, son, U, 18, M, Fearn. Alexander MacAngus, son, U, 16, M, Fearn. Isabella MacAngus, daughter, U, 13, F, Fearn. Hugh MacAngus, son, U, 6, M, Fearn. 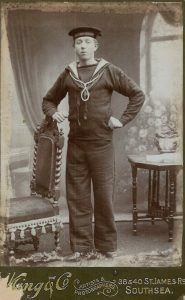 Royal Navy, Killed in Action when H.M. Trawler Dhoon was sunk in WW1. David MacAngus, son, U, 3, M, Fearn. Alexander MacAngus, M, 63, M, Fearn, fisherman. Lexy MacAngus, wife, 50, F, Fearn. Alexander MacKay, M, 59, M, Fearn, fisherman. Jessie MacKay, wife, 59, F, Fearn. Alexander MacKay, son, U, 24, M, Fearn. George MacKay, son, U, 17, M, Fearn. Barbara MacKay, daughter, U, 14, F, Fearn. Johan MacKay, widow, 46, F, Fearn, fish wife. William MacKay, son, U, 24, M, Fearn. 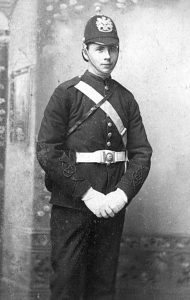 Alexander MacKay, son, U, 18, M, Fearn, agricultural labourer. Margaret MacKay, daughter, U, 15, F, Fearn, scholar. Jessie MacKay, daughter, U, 12, F, Fearn, scholar. Charles MacKay, son, U, 7, M, Fearn, scholar. Andrewina MacKay, daughter, U, 4, F, Fearn. James MacAngus, M, 70, M, Fearn, retired fisherman. Hellen MacAngus, wife, 74, F, Fearn. William Sutherland, M, 32, M, Fearn, fisherman. Annie MacKay Sutherland, wife, 29, F, Fearn. William Sutherland, son, U, 3, M, Fearn. Royal Navy, Killed in Action when H.M.S. Monmouth was sunk in 1914 with all hands, WW1. Annie Sutherland, daughter, U, 3, F, Fearn. Alexander Sutherland, son, U, 2, M, Fearn. Christine Sutherland, daughter, U, 2, F, Fearn. Lexy MacKay, U, 45, F, Fearn, general servant [unemployed]. Barbara MacKay, boarder, U, 55, F, Fearn, living on private means. John MacDonald, M, 36, M, Fearn, fisherman. Jane MacDonald, wife, 35, F, Fearn. Ann MacDonald, daughter, U, 16, F, Fearn. Alexander MacDonald, son, U, 13, Fearn, scholar. Merchant Navy when of age. Alexander MacDonald, born 25th July 1878, Hilton. Catherine MacDonald, daughter, U, 10, F, Fearn, scholar. Jessie MacDonald, daughter, U, 8, F, Fearn, scholar. John MacDonald, son, U, 4, M, Fearn. Catherine MacKay, U, 44, F, Fearn, living on private means. Alexander MacKay, son, U, 15, M, Fearn, agricultural labourer. Donald Ross, M, 59, M, Fearn, fisherman. Catherine Ross, wife, 52, F, Nigg. Donald Ross, son, U, 28, M, Nigg. Jessie Ross, daughter, U, 21, F, Nigg. Elsie Ross, daughter, U, 19, F, Nigg. William Ross, son, U, 13, M, Nigg, scholar. William MacDonald, widower, 75, M, Fearn, retired agricultural labourer. Catherine MacDonald, daughter, U, 45, F, Tarbat, domestic servant. George Urquhart, widower, 71, M, Fearn, shoemaker. Hugh Urquhart, son, U, 55, M, Fearn, carter. Catherine Urquhart, daughter, U, 44, F, Fearn. Alexander MacAngus, M, 30, M, Fearn, Fisherman. Christina MacAngus, wife, 26, F, Fearn, Fisherman’s wife. Donald [Dan] MacAngus, son, U, 3, M, Fearn. RNR WW1. Donald [Dan] McAngus, born 1888. William MacAngus, son, U, 1, M, Fearn. Died during the influenza epidemic 1918, husband of Belle Ann MacAngus. John MacAngus, son, U, 0, M, Fearn. RNR WW1. Interned in the Netherlands for the duration of the war after the fall of Antwerp, Belgium, interned HMS Timbertown. Alexander MacDonald, M, 56, M, Assynt, Sutherland, mason. Dolina MacDonald, wife, 46, F, Assynt, Sutherland. Johan MacLeod, sister in law, U, 78, F, Assynt, Sutherland. Christina Ross, U, 40, F, Nigg, agricultural worker. Barbara Ross, mother, widow, 89, F, Logie, private means [blind]. Christina MacKenzie, widow, 53, F, Ullapool, agricultural worker. James Wood, U, 31, M, Daviot, Inverness, farmer. Ann Wood, mother, widow, 69, F, Daviot, Inverness. Margaret Wood, sister, U, 38, F, Daviot, Inverness, domestic servant. Donald Wood, brother, U, 29, M, Daviot, Inverness. Alexander Munro, U, 18, M, Gairloch, farm servant. Christina MacKenzie, U, 49, F, Gairloch, domestic servant. James Watt, U, 28, M, Glass, Aberdeen, schoolteacher. Married Christina MacDonald, also teaching at Hilton school. Their son James Roderick Watt, born 1895, Killed in Action at the Somme in 1916, WW1. Their grandson Walter Thomas Watt Stepto, Killed in Action at Kohima 1944, WW2. Mary Rose, U, 30, F, Fearn, general servant. Donald Fraser, M, 64, M, Resolis, farmer. Ann Fraser, wife, 66, F, Knockbain. Alice Fraser, daughter, U, 28, F, Fearn, general servant [domestic]. Alexanderina Fraser, daughter, U, 26, F, Fearn, general servant [domestic]. Donald Fraser, U, 16, M, Alness, farm servant. William Skinner, Married, age 49, M, Fearn, carter. Barbara Skinner, wife, 40, F, Fearn. John Skinner[Roy], M, 50, M, Fearn, fisherman. Bell MacKay or Skinner. wife, 48, F, Fearn. Alexander Skinner, son, U, 16, M, Fearn, fisherman. William Skinner, son, U, 13, M, Fearn. Bell Skinner, daughter, U, 11, F, Fearn. Donald Skinner, son, U, 8, M, Fearn. George Skinner, son, U, 5, M, Fearn. David Morrison, M, no age, M, Fearn, fisherman. Jane Morrison, wife, 34, F, Fearn. Ann Morrison, daughter, U, 12, F, Fearn. Andrew Morrison, son, U, 7, M, Fearn. William Morrison, son,U, 5, M, Fearn. Alexander Morrison, son, U, 1, M, Fearn. Helen Graham, widowed, 68, F, Fearn, retired farmer’s wife. Helen Graham, daughter, U, 24, F, Fearn, domestic servant. Hugh Munro, Widowed, 80, M, Fearn, shoemaker. Catherine Munro, daughter, U, 40, F, Fearn, dressmaker. Andrew Vass, M, 54, M, Nigg, tailor. Isabella Vass, wife, 50, F, Fearn. Catherine Vass, daughter, U, 17, F, Fearn, servant. Annie Vass, daughter, U, 14, F, Fearn, pupil teacher. Andrew Vass, son, U, 7, M, Fearn, scholar. John Ross, married, 42, M, Aberdeen, inspector of works. Elizabeth Fraser, widow, cousin, 44, F, Aberdeen, housekeeper. Isabella Ross, daughter of John Ross, U, 13, F, Aberdeen, pupil. Flora Fisher, 2nd cousin, U, 8, F, England, scholar. Robert Sutherland, M, 62, M, Helmsdale, baker. Jane Sutherland, wife, 56, F, Dornoch. Ann McRae, niece, U, 15, F, Leith, scholar. Henry Duff, M, 72, M, Tarbat, agricultural labourer. Margaret Duff, wife, 59, F, Fearn. William Duff, son, U, 27, M, Fearn, public works clerk. George MacKay, M, 58, M, Fearn, carpenter and boat builder. Jane MacKay, wife, 54, F, Nigg. John MacKay, son, U, 19, M, Fearn, house carpenter. Donald Ross MacKay, son, U, 17, M, Fearn, pupil-teacher. 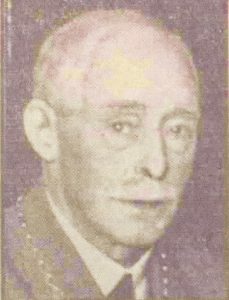 Became a school headmaster in Angus, retired 1933, moved to Ellon where he became Provost of that town, died April 1945. Three children, George, John MBE. and Margaret. Catherine MacKay, daughter, U, 15, F, Fearn, pupil-teacher. James MacDonald, widower, 70, M, Tarbat, carter. Died July 1899. Barbara Ross, g/daughter, U, 25, F, Fearn, housekeeper. Davidina Ross, g/daughter, U, 17, F, Fearn, dressmaker. James Johnstone, married, 47, M, Inverness-shire, general merchant. Died 1917. Margaret Johnstone [nee Ross], wife, 47, F, Nairnshire. Margaret Johnstone, daughter, U, 26, F, Nairnshire, domestic servant. Janet Johnstone, daughter, U, 19, F, Dyke, Moray, domestic servant. Alexander Johnstone, son, U, 17, M, Nigg, assisting his father. Served with Lovat Scouts WW1. 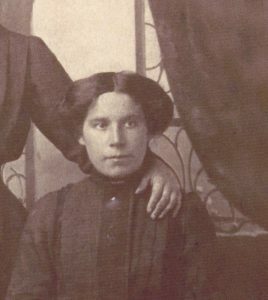 Jane Ann Johnstone, daughter, U, 15, F, Nigg, scholar. John Johnstone, son, U, 14, M, Nigg, scholar. George Robert Johnstone, son, U, 11, M, Nigg, scholar. Served in the Boer War, a Sergeant Major in the Scottish Horse also a fireman on the railway. Was 5ft 9ins tall, grey eyes and brown hair. He returned to South Africa to take up a position in mining in Johannesburg. Christina Johnstone, daughter, U, 9, F, Fearn, scholar. Marries Charles Yeoman of Aberdeen. Died 1964. Charles Johnstone, son, U, 8, M, Fearn, scholar. Joined the Scots Guards in 1904, married Amelia Askett in November 1907. WW1 received the 1914 Star. David Johnstone, son, U, 6, M, Fearn, scholar, father of James [butcher] and Jessie. Served with the Lovat Scouts in Gallipolli WW1. Died 1954. Had another son, William, born 1867. Jessie Ross, widowed, 46, F, Fearn, general merchant. William Ross, son, U, 23, M, Fearn, medical student. James Ross, son, U, 22, M, Fearn, general merchant’s assistant. Annie Ross, daughter, U, 15, F, Fearn, scholar. Alexander N. Ross, son, U, 10, M, Fearn, scholar. Janet Ross, daughter, U, 9, F, Fearn, scholar. Nicholas Ross, brother in law, U, 67, M, Nigg, retired merchant. Elizabeth Ross, servant, U, 25, F, Fearn, domestic servant. Catherine Vass, widowed, 54, F, Fearn, fisherwoman. David Vass, son, U, 28, M, Fearn, fisherman. Nicholas Vass, son, U, 20, Fearn. Christina Vass, daughter, U, 17, F, Fearn. William Vass, son, U, 14, M, Fearn, scholar. RNR, WW1. James Vass, son, U, 13, M, Fearn, scholar. RNR, WW1. Kenneth Vass, son, U, 9, M, Fearn, scholar. Killed in Action, Seaforth Highlanders, France,1917,WW1. John Vass, grandson, U, 3, M, Fearn. James Munro, brother, M, 47, M, Fearn, blacksmith. John MacPherson, M, 36, M, Gairloch, fisherman. Catherine MacPherson[ Nee Ross, Stotach], wife, 34, F, Fearn. John MacPherson, son, U, 10, M, Inverness, drowned, lost overboard from the Aberdeen trawler Strathbogie 1902. Duncan MacPherson, son, U, 6, M, Fearn, Royal Navy WW1, miller in Fearn. Christina MacPherson, daughter, U, 5 weeks, F, Fearn, later married Archie McRae, Commercial Hotel. Other children, Catherine and Murdo, Murdo died after being hit by a stone in the school playground. John Fletcher, M, 30, M, Fearn, baker. Margaret Fletcher, wife, 28, F, Fearn. Isabella Fletcher, daughter, U, 2, F, Fearn. John Fletcher, son, U, 10 months, M, Fearn. Alexander Ross, M, 36, M, Nigg, fisherman. Isabella Ross, wife, 30, F, Fearn. Alexander Ross, son, U, 3, M, Fearn. Catherine Ross, daughter, U, 1, F, Fearn. James Ross, son, U, 1 month, M, Fearn. Another son William, born circa 1895, Killed in Action, Seaforth Highlanders, France 1917, WW1. John Fletcher, M, 60, M, Inverness, baker. Isabella Fletcher, wife, 60, F, Nigg. Catherine M.Fletcher, daughter, U, 34, F, Fearn, domestic servant. Malcolm Fletcher, son, U, 22, M, Fearn, apprentice baker. James Fletcher, son, U, 17, M, Fearn, scholar. Finlay Skinner, M, 35, M, Fearn, fisherman. Jane Skinner, wife, 35, F, Fearn. Donald Skinner, son, U, 3, M, Fearn. 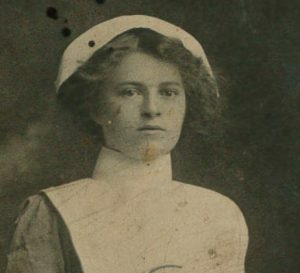 Severly wounded while serving with the Seaforths in WW1 with a bullet wound to the head in December 1914, there after unfit for military service. Was a mason to trade but joined the army in 1906. Charles Skinner, son, U, 1, M, Fearn. Blacksmith to trade. Served with the Army Service Corp as a farrier in WW1. George Skinner, M, 52, M, Fearn, fisherman. Sophia Skinner, wife, 48, F, Fearn. Ann Skinner, daughter, U, 21, F, Fearn. Sophia Skinner, daughter, U, 10, F, Fearn. Sophia Skinner, widow, 55, F, Fearn, fisherwoman. David Ross, lodger, U, 34, M, Fearn, horseman. Sophia Ross, visitor, U, 10, F, Fearn. Mary McKenzie, married, 39, F, Crimond, Aberdeen, ship stoker’s wife. Alexander McKenzie, son, U, 15, M, Aberdeen. George McKenzie, son, U, 13, M, Aberdeen, scholar. William McKenzie, son, U, 11, M, Aberdeen, scholar. John McKenzie, son, U, 9, M, Aberdeen, scholar. Hugh McKenzie, son, U, 7, M, Aberdeen, scholar. Mary McKenzie, daughter, U, 5, F, Aberdeen, scholar. Jane McKenzie, daughter, U, 3, F, Fearn. John Bonney, M, 42, M, Nigg, carter. Jane Bonney, wife, 48, F, Fearn. Euphemia Bonney, daughter, U, 9, F, Fearn. Alexander Pirie, M, 30, M, Fyvie, Aberdeen. general labourer. Ann Pirie, wife, 31, F, Fetterness, Aberdeen. Martha Pirie, daughter, U, 5, F, Aberdeen. Janet MacAngus, widow, 51, F, Fearn, pauper. Jessie MacAngus, daughter, U, 16, F, Fearn, fisherman’s daughter. George Ross, U, 59, M, Creich, Sutherland, Blind, retired watchmaker. Rosa Ross, sister, U, 73, F, Cromarty, Deaf, retired teacher. Murdo McKenzie, M, 58, M, Coigach, West Ross, salmon fisher. Davidina McKenzie, wife, 59, F, Fearn. John McKenzie, M, 51, M, Fearn, salmon fisher. Margaret McKenzie, wife, 50, F, Fearn. George McKenzie, son, U, 14, M, Fearn, scholar. Donald McKenzie, son, U, 12, M, Fearn, scholar. Margaret McKenzie, daughter, U, 10, F, Fearn, scholar. David MacDonald, M, 37, M, Fearn, draper and general merchant. Helen E. MacDonald, wife, 26, F, Fearn. James MacDonald, son, U, 1, M, Fearn. George Ross, father-in-law, widower, 71, M, Fearn, army pension, former quarrier. Donald Morrison, M, 32, M, Fearn, fisherman. Andrewina Morrison, wife, 20, F, Nigg. Christina Vass or Christie, Widow, 68, F, Nigg, pauper. Ann Vass, grand daughter, U, 9, F, Aberdeen, scholar. John Urquhart, M, 61, M, Loth, Sutherland, pauper. Christina Urquhart, wife, 68, F, Fearn. Lilly Morrison, widow, 64, F, Fearn, fisherwoman. John Morrison, son, U, 21, M, Fearn, fisherman. Jessie Morrison, grand daughter, U, 14, F, Fearn, assisting in house. Lilly Morrison, grand daughter, U, 8, F, Fearn, scholar. Finlay Morrison, grandson, U, 3, M, Fearn. William McKenzie, M, 48, M, Fearn, fisherman. Isabella McKenzie, wife, 44, F, Lochbroom. Hector McKenzie, son, U, 22, M, Fearn, fisherman. William McKenzie, son, U, 17, M, Fearn, farm servant. Donald McKenzie, son, U, 14, M, Fearn, scholar. 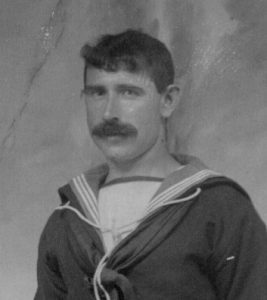 Royal Navy, drowned in Barry habour, Wales, while serving on SS Gorsemore in WW1. Thomas McKenzie, son, U, 11, M, Fearn, scholar. Eppy McKenzie, daughter, U, 6, F, Fearn, scholar. Jessie McKenzie, daughter, U, 4, F, Fearn. Isabella McKenzie, daughter, U, 2, F, Fearn. Barbara Vass, widow, 73, F, Nigg, dressmaker. Christina Vass, visitor, U, 15, F, Fearn. William Vass, M, 42, M, Nigg, fisherman. Lily Vass, wife, 38, F, Tarbat. Alexander Vass, son, U, 16, M, Aberdeen, fisherman. William Vass, son, U, 11, M, Fearn. Donald Vass, Son, U, 8, M, Fearn. Donald Skinner [ Collie], M, 50, M, Nigg, fisherman. Davidina Skinner, wife, 40, F, Fearn. Annie Skinner, daughter, U, 15, F, Fearn, scholar. Alexander Skinner, son, U, 9, M, Fearn, scholar. John Skinner, son, U, 6, M, Fearn, scholar. Davidina Skinner, daughter, U, 4, F, Fearn. Margaret Skinner, daughter, U, 1, F, Fearn. Finlay Skinner, M, 33, M, Fearn, fisherman. Ann Skinner, wife, 40, F, Fearn. Ann Skinner, daughter, U, 2, F, Fearn. William Skinner [ Roy], widower, 55, M, Fearn, fisherman. Bella Skinner, daughter, U, 17, F, Fearn. Catherine Skinner, daughter, U, 9, F, Fearn. Donald Skinner, son, U, 7, M, Fearn. James Ross, M, 55, M, Fearn, fisherman. Ann Ross, wife, 50, F, Fearn. Bella McKenzie, mother in law, widow, 86, F, Nigg. Margaret Ross, daughter, U, 12, F, Fearn. John Ross, son, U, 10, M, Fearn. Ann Ross, daughter, U, 8, F, Fearn. Kitty Ross, grand daughter, U, 6, F, Fearn. William Ross, M, 39, M, Nigg, fisherman. Margaret Ross, wife, 35, F, Fearn. Andrew Ross, son, U, 10, M, Fearn. Jess Ross, daughter, U, 8, F, Fearn. Catherine Ross, daughter, U, 6, F, Fearn. Barbara Ross, daughter, U, 3, F, Fearn. Bella Ross, daughter, U, 1, F, Fearn. Hugh Ross, M, 54, M, Nigg, pauper, fisherman. Died June 1898. Euphemia Ross, wife, 35, F, Fearn. William Ross, son, U, 12, M, Fearn. Euphemia Ross, daughter, U, 7, F, Fearn. William Morrison, M, 59, M, Fearn, fisherman. Christina Morrison, wife, 59, F, Fearn. Ann Morrison, daughter, U, 17, F, Fearn. John Morrison, M, 30, M, Fearn, fisherman. Lily Morrison, wife, 34, F, Fearn. William Morrison, son, 4 weeks, M, Fearn. Donald Vass [More], M, 68, M, Nigg, fisherman. Ann Vass, wife, 69, F, Nigg. Thomas Vass, son, U, 28, Fearn, tailor. Donald MacPherson, g/son, U, 11, M, Peterhead, scholar. Alexander Vass, g/son, U, 3, M, Fearn. Alexander Vass, visitor, 40, M, Fearn, sailor. John Skinner[ John], M, 57, M, Fearn, fisherman. Hellen Skinner, wife, 53, F, Fearn. Catherine Skinner, daughter, U, 25, F, Fearn. John Skinner, son, U, 20, M, Fearn. Hellen Skinner, daughter, U, 15, F, Fearn. Christina Skinner, daughter, U, 11, Fearn. David Skinner, son, U, 8, M, Fearn. RNR, WW1. Alexander Ross [Stotach], Widowed, 65, M, Nigg, fisherman. Christina Ross, daughter, U, 26, F, Fearn. Married Finlay Skinner, Hugh St. in 1891, two children Catherine and Christine. Finlay died in 1899. James Ross, son, U, 24, M, Fearn, fisherman. Mary Ross [Mairac] G/Daughter, U, 13, F, birthplace Tain. Marries George McKenzie [Doolan] from 7 Bank Street. George McKenzie, Married, 54, M, Fearn, fisherman. Catherine McKenzie, Wife, 48, F, Fearn. 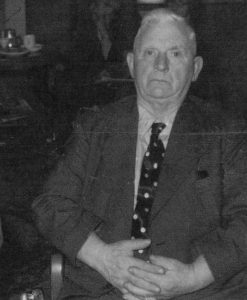 George McKenzie [Doolan], son, U, 22, M, Fearn, fisherman. Marries Mary Ross [Mairac] from 6 Bank Street. Ann McKenzie, daughter, U, 15, F, Fearn. Catherine McKenzie, daughter, U, 7, F, Fearn. Alexander McKenzie, son, U, 1, M, Fearn. RNR, WW1. George McKenzie, M, 51, M, Fearn, fisherman. Bell McKenzie, wife, 51, F, Fearn. William McKenzie, son, 13, M, Fearn. Finlay McKenzie, son, 11, M, Fearn. Jane McKenzie, widow, 75, F, Nairn, pauper. Hugh McKenzie, son, U, 37, M, Fearn, fisherman. RNR, WW1. John McKenzie, son, U, 34, M, Fearn, fisherman. John Skinner, M, 66, M, Fearn, unemployed, listed in valuation roll 1894/5 as road contractor living at 6 Lorne Place, Dingwall. Margaret Skinner, wife, 66, F, Rosskeen. Hughina Vass, wife, 26, F, Fearn. Annie Vass, daughter, U, no age given, F, Fearn. Alexander McKenzie, widower, 69, M, Fearn, fisherman. Jean McKenzie, daughter, M, 25, F, Fearn, shoemaker’s daughter. Charles Nicholson, grandson, U, no age given, M, Fearn. Eppy Vass, widow, 64, F, Fearn. Jessie Vass, daughter, U, 22, F, Fearn, domestic servant. Donald Mann, boarder, U, 31, M, Fodderty, carter. Catherine Vass, widow, 63, F, Fearn, pauper. Jean Skinner, widow, 63, F, Fearn. Alex Skinner, son, U, 24, M, Fearn, fisherman. William Skinner, son, U, 22, M, Fearn, fisherman. Donald Skinner [ Dounie], M, 60, M, Fearn, fisherman. Ann Skinner, wife, 62, F, Fearn. Hugh Skinner, M, 33, M, Fearn, grocer. Celebrated 50 years of marriage in October 1932. Jane Skinner[nee Sim], wife, 30, F, Fraserburgh. Ann Skinner, daughter, U, 7, F, England. Jane Skinner, daughter, U, 6, F, Fraserburgh. Donald McKenzie, U, 25, M, Fearn, fisherman. Annie McKenzie, sister, U, 23, F, Fearn, general servant. Alexander McKenzie, brother, U, 21, M, Fearn, fisherman. RNR, WW1. Walter McKenzie, nephew, U, 7, M, Fearn. Merchant navy. 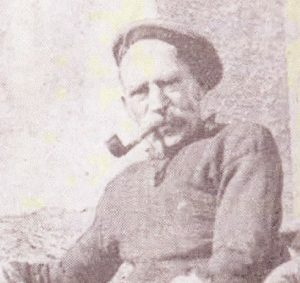 Walter MacKenzie, Born 1st April 1885, 15 Bank Street, Balintore. William McKenzie, M, 39, M, Fearn, fisherman. Eliza McKenzie, wife, 31, F, Fearn. Maggie McKenzie, daughter, U, 4, F, Fearn. Ann McKenzie, daughter, U, 2, F, Fearn. Andrew MacKay, M, 54, M, Fearn, fisherman. Helen MacKay, wife, 50, F, Fearn. Donald MacKay, son, U, 29, M, Fearn, shoemaker. Andrew MacKay, son, U, 23, M, Fearn, fisherman. Alexander MacKay, son, U, 19, M, Fearn, fisherman. Alexander Skinner, U, 64, M, Fearn, carter. Lilly Skinner, mother, widow, 84, F, Fearn. Lilly Skinner, niece, U, 16, F, Fearn. William Skinner, nephew, U, 13, M, Fearn. John Vass, U, 19, M, Fearn, fisherman. Davidina Vass, sister, 27, F, Fearn. Davidina Vass, daughter, U, 1, F, Fearn. 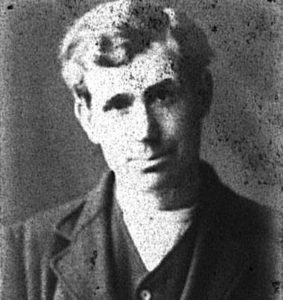 William Pirie, M, 32, M, Old Deer, Aberdeen, foreman of public works. Johan Pirie, wife, 27, F, Moy, Inverness-shire. Margaret Pirie, niece, U, 10, F, Old Deer, Aberdeen. Charles Stewart, lodger, U, 23, M, Leslie, Aberdeen, horseman. Alexander Chalmers, lodger, U, 22, M, New Deer, Aberdeen, horseman. David McAngus, M, 50, M, Portgower, Sutherland, fisherman. Helen McAngus, wife, 52, F, Nigg. Ann McAngus, daughter, U, 24, F, Fearn. Alexander McAngus, son, U, 22, M, Fearn. Andrew McAngus, son, U, 20, M, Fearn. David McAngus, son, U, 15, M, Fearn. Ann Waterson, granddaughter, U, 2, F, Fearn. Andrew Morrison, M, 68, M, Nigg, fisherman. Ann Morrison, wife, 66, F, Nigg. Andrew Morrison, son, U, 21, M, Fearn. Donald Grant, grandson, U, 3, M, Fearn. Alexander Skinner, widower, 80, M, Fearn, retired fisherman. William Skinner, son, U, 21, M, Fearn, fisherman. Margaret Skinner, daughter, U, 19, F, Fearn. Mary Ross, wife, 26, F, Alness. Robert A. Ross, son, U, 1, M, Fearn. Ellen McKay, visitor, 40, F, Lairg, Sutherland. Andrew Ross, M, 50, M, Fearn, quarrier. Christina Ross, wife, 53, F, Creich, Sutherland. Hugh Ross, son, U, 23, M, Fearn, quarrier. Finlay Skinner, U, 58, M, Fearn, pauper. Ann Skinner, sister, U, 56, F, Fearn, outworker at farm. Sophia Skinner, sister, U, 53, F, Fearn, pauper. Alexander Skinner, U, 35, M, Fearn, fisherman. Finlay Skinner, brother, U, 24, M, Fearn, fisherman. Married Christina Ross [Stotach] on the 9th October 1891, two children, Catherine and Christine. Finlay died 15th June 1899 of brain softening. Ann Skinner, wife, 27, F, Fearn, sailor’s wife. 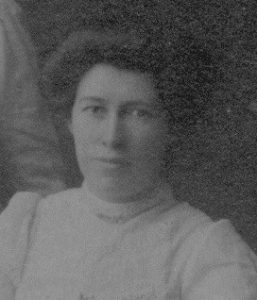 Ann [Annie] Skinner 1864-1940, daughter of Donald and Sophia Skinner, 13 Main Street, Balintore. Helen Skinner, daughter, U, 1, F, Fearn. John Ross, M, 54, M, Fearn, fisherman. Georgina Ross, wife, 48, F, Fearn. Margaret Ross, daughter, U, 22, F, Fearn, domestic servant. George Ross, son, U, 21, M, Fearn, fisherman. John Ross, son, U, 16, M, Fearn, scholar. Catherine Ross, daughter, U, 13, F, Fearn, scholar. Isabella Ross, daughter, U, 7, F, Fearn, scholar. Isabella Mitchell, U, 94, F, Cromarty, retired domestic servant. Mary Mitchell, niece, U, 52, F, Fearn, domestic servant. James Ross, lodger, U, 67, M, Nigg, general labourer. Jessie Skinner [Roy], U, 30, F, Fearn, fisherman’s daughter. Annie Skinner, sister, U, 26, F, Fearn. 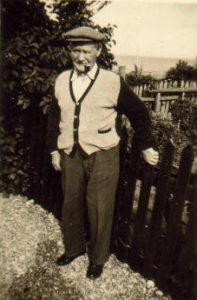 William Skinner, brother, U, 23, M, Fearn, fisherman. Jessie Skinner, daughter, U, 3, F, Fearn. Mary Skinner [Roy], U, 58, F, Fearn, dressmaker. John Skinner, M, 67, M, Fearn, fisherman. Johan Skinner, wife, 57, F, Reay, Sutherland. Alexander Skinner, M, 46, M, Fearn, fisherman. Annie Skinner, wife, 50, F, Fearn. James Skinner, son, U, 23, M, Fearn. Alexander Skinner, son, U, 14, M, Fearn. Annie Vass, widow, 58, F, Fearn, fisherwoman. Nicholas Vass, son, U, 17, M, Fearn, fisherman. David [Davack] Skinner, M, 52, M, Nigg, fisherman. David [Davack] Skinner with wife Janet [Jess]. Janet [Jess] Skinner, wife, 49, F, Fearn. Alexander Skinner, son, U, 24, M, Fearn, labourer at farm. Born 17th September 1866. David Skinner, son, U, 19, M, Fearn, labourer at farm. Born 21st October 1871. William Skinner, son, U, 15, M, Fearn, scholar. Born 12th June 1874. RNR, No. C2335, WW1, served on HMS Triumph in China and was also on board when the ship was torpedoed in the Dardanelles [Turkey] in 1915. George Skinner, son, U, 9, M, Fearn. Born 12th December 1880. Christina Ann Skinner, daughter, U, 4, F, Fearn. Born 5th July 1887. Jess Skinner, daughter, U, 1, F, Fearn. Born 20th January 1890. Killed in WW2 during an attack on the M.V. 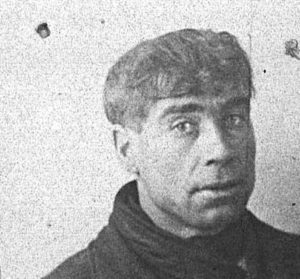 Rangitane on route from New Zealand, ship’s nurse. Jessie Ann Skinner [ Toto ]. Other children, John, born 29th July 1864. Christina, born 8th November 1868, died 1873. Jessie, born 29th March 1877, died 1878. Donald, born 9th May 1879, died [5 months, hydrocephalus]. Finlay, born 1st June 1883, died 1884 [erysipelas]. Andrew Vass, M, 24, M, Fearn, fisherman. Annie Vass, wife, 26, F, Fearn. Jessie Vass, daughter, U, 8 months, F, Fearn. Hugh Vass, widower, 69, M, Fearn, retired fisherman. John Vass, son, U, 34, M, Fearn, fisherman. Isabella McKenzie, widow, 88, F, Fearn. Helen McKenzie, daughter, U, 55, F, Fearn. James Corner, boarder, M, 36, M, Wick, house carpenter. 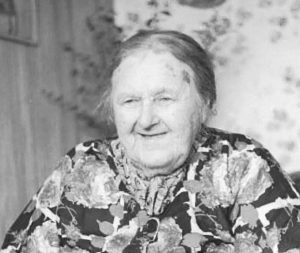 Catherine Corner, boarder, M, 33, F, Canisbay, Caithness, house carpenter’s wife. Donald Maitland, boarder, U, 12, M, Edinburgh. Donald McKenzie [ Young], M, 52, M, Fearn, fisherman. Donald Fraser, M, 31, M, Fearn, hotel keeper. Helen Fraser, wife, 30, F, Carrington, Edinburgh. Isabella Vass, U, 19, F, Fearn, domestic servant. Lewis Imlack, M, 37, M, Old Machar, Aberdeen, salmon fisher. Joseph Tough, U, 28, M, Belhelvie, Aberdeen, salmon fisher. Robert Reid, U, 26, M, Banchory, Kincardine, salmon fisher. Duncan McLean, M, 64, M, Torridon, Ross & Cromarty, inn keeper. Catherine McLean, wife, 50, F, Devenich, Strathconon. Roderick McLean, son, 25, M, Nairn. 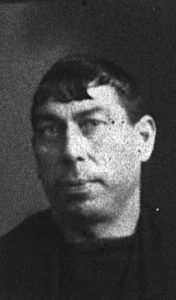 Dies in 1894. Williamina McKay, U, 19, F, Tain, servant. Fish Curing Yard & Dwelling House. James Findlay, M, 59, M, Longside, Aberdeen, cooper. Catherine Findlay, wife, 60, F, Fearn. David Findlay, son, U, 25, M, Fearn. John Findlay, son, U, 22, M, Fearn. Isabella Mackie, U, 13, F, Peterhead, domestic servant. Finlay Vass, M, 48, M, Fearn, fisherman. Barbara Vass, wife, 41, F, Nigg. John Vass, son, U, 15, M, Fearn, scholar. Donald Vass, son, U, 11, M, Fearn, scholar. Alexander Vass, son, U, 9, M, Fearn, scholar. William Vass, son, U, 5, M, Fearn, scholar. Helen Vass, daughter, U, 2, F, Fearn. John Vass, U, 70, M, Nigg, day labourer. Bell Vass, U, 54, F, Fearn, fisherwoman. George Mackie, M, 37, M, Longside, Aberdeen, labourer at harbour. Isabella Mackie, wife, 37, F, New Deer, Aberdeen. Ann Mackie, daughter, U, 14, F, Longside, Aberdeen, scholar. Georgina Mackie, daughter, U, 10, F, Longside, Aberdeen, scholar. Andrew Mackie, son, U, 8, M, Peterhead, scholar. George Mackie, son, U, 6, M, Peterhead, scholar. William Mackie, son, U, 6, M, Peterhead, scholar. Alexandrina Mackie, daughter, U, 4 months, F, Fearn. John Vass, M, 40, M, Fearn, fisherman. Tina Vass, wife, 40, F, Fearn. Nicholas Vass, son, U, 11, M, Fearn, scholar. Alexander Vass, son, U, 8, M, Fearn, scholar. David Vass, M, 40, M, Fearn, fisherman. Isabella Vass, wife, 39, F, Fearn. David Vass, son, U, 10, M, Fearn, scholar. RNR, WW1. Alexander Vass, son, U, 7, M, Fearn. Blacksmith, died in Aberdeen of Flu, 1919. Christina Vass, daughter, U, 4, F, Fearn. Married Andrew Ross, Shandwick. 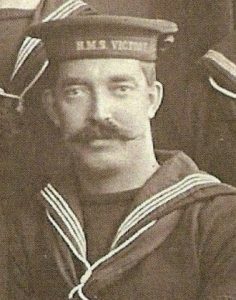 Andrew, Royal Navy, who died of sunstroke in Basra, H.M.S. Dalhousie, Arabian Gulf, 1916, WW1. Banns for wedding read in Nigg church January 1914. Margaret Vass, daughter, U, 2, F, Fearn. Married Donald [Dan] Mitchell, Rockfield. Ann Vass, U, 50, F, Fearn, pauper. David Vass, M, 44, M, Nigg, fisherman. Margaret Vass, wife, 45, F, Fearn. David Vass, son, U, 13, M, Fearn. John Vass, son, U, 8, M, Fearn. RNR, WW1. Margaret Vass, daughter, U, 4, F, Fearn. John Vass [Big], M, 45, M, Fearn, fisherman. Isabella Vass, wife, 44, F, Nigg. David Vass, son, U, 17, M, Nigg, fisherman. Isabella Vass, daughter, U, 16, F, Nigg. Christina Vass, daughter, U, 13, F, Fearn, scholar. William Vass, son, U, 10, M, Fearn, scholar. RNR, WW1. Catherine Vass, daughter, U, 5, F, Fearn, scholar. Andrew Vass, M, 54, M, Fearn, fisherman. Jessie Vass, wife, 52, F, Nigg. Jessie Vass, daughter, U, 17, F, Fearn. John Vass, son, U, 15, M, Fearn. Andrew Vass, son, U, 10, M, Fearn. David Vass, M, 55, M, Fearn, fisherman. Barbara Vass, wife, 45, F, Fearn. Barbara Vass, daughter, U, 19, F, Fearn. Alexander Vass, son, U, 12, M, Fearn. Helen Vass, daughter, U, 9, F, Fearn. Euphemia Vass, daughter, U, 9, F, Fearn. Andrew Vass, son, U, 6, M, Fearn. Donald Morrison, M, 66, M, Nigg, fisherman. Ann Morrison, wife, 60, F, Nigg. Annie Morrison, daughter, U, 27, F, Fearn. Alexander Morrison, son, U, 25, M, Fearn, fisherman. James Morrison, son, U, 23, M, Fearn, fisherman. Alexander Vass, M, 50, M, Nigg, fisherman. Isabella Vass, wife, 42, F, Fearn. Hughina Vass, daughter, U, 15, F, Fearn, domestic servant. Annie Vass, daughter, U, 13, F, Fearn. Johan Vass, daughter, U, 9, F, Fearn. Margaret Vass, daughter, U, 7, F, Fearn. Jessie Vass, daughter, U, 4, F, Fearn. Andrew Ross[ Long], M, 60, M, Fearn, carter. Mary Ross, wife, 46, F, Nigg. Mary Ross, daughter, U, 16, F, Fearn, domestic servant. Andrew Vass, M, 50, M, Fearn, fisherman. Euphemia Vass, wife, 52, F, Nigg. Finlay Vass, son, U, 23, M, Fearn, fisherman. David Vass, son, U, 21, M, Fearn, fisherman. Donald Ross, M, 32, M, Fearn, fisherman. RNR, WW1. Ann Ross, wife, 28, F, Fearn. James Ross, son, U, 1, M, Fearn. Thomas Vass, M, 36, M, Fearn, fisherman. Died 1936. Jessie Vass [nee Morrison][Shonie], wife, 37, F, Fearn. Margaret Vass, daughter, U, 12, F, Fearn, scholar. Isabella Vass, daughter, U, 11, F, Fearn, scholar. Andrew Vass, son, U, 9, M, Fearn, scholar. Jessie Vass, daughter, U, 7, F, Fearn, scholar. Alexander Vass, son, U, 5, M, Fearn, scholar. John Vass, son, U, 3, M, Fearn. Thomasina Vass, daughter, U, 1, F, Fearn. Died 1899. Margaret Vass, widow, 54, F, Nigg, fisherman’s widow. Donald Vass, son, U, 25, M, Nigg, fisherman. Alexander Vass, son, U, 20, M, Nigg, fisherman. Jessie Vass, daughter, U, 14, F, Nigg, scholar. Jessie Vass, U, 56, F, Nigg, dressmaker. Margaret Vass, sister, U, 51, F, Nigg, fishermaid. Bella Vass, sister, U, 39, F, Nigg, fish buyer. Alexander Vass, U, 36, M, Nigg, fisherman. Finlay Vass, nephew, U, 11, M, Nigg, scholar. John Vass, nephew, U, 8, M, Nigg, scholar. John Skinner, M, 48, M, Nigg, fisherman. Bella Skinner, wife, 48, F, Nigg. Christy Ross, sister in law, U, 40, F, Nigg, fishermaid. Finlay Vass, U, 52, M, Nigg, shoemaker. 5 New Street [Factor’s Office- unoccupied]. 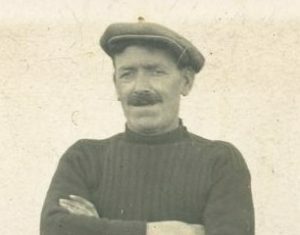 Finlay Skinner, M, 42, M, Nigg, fisherman. Catherine Skinner, wife, 38, F, Nigg. William Skinner, son, U, 14, M, Nigg, scholar. James Skinner, son, U, 13, M, Nigg, scholar. Isabella Skinner, daughter, U, 11, F, Nigg, scholar. Annie Skinner, daughter, U, 8, F, Nigg, scholar. Jane Elizabeth, daughter, U, 4, F, Nigg. Maggie Skinner, U, 45, F, Nigg, fisherwoman. Jessie Skinner, sister, U, 36, F, Nigg, annuitant [blind]. Barbara Vass, widow, 50, F, Nigg, fisherwoman. David Vass, son, U, 21, M, Nigg, fisherman. Nicholas Vass, son, U, 16, M, Nigg, scholar. William Vass, son, U, 11, M, Nigg, scholar. Isabella Ross, widow, 28, F, Nigg, fisherwoman. Kenneth Ross, son, U, 4, M, Nigg. Merchant Navy?. Admonished for setting fire to whins 1898. Married Elspeth [Eipach] and started the ‘Kenna’ family, after marriage stayed 2 Port Street, Balintore. Annie Ross, daughter, U, 2, F, Nigg. 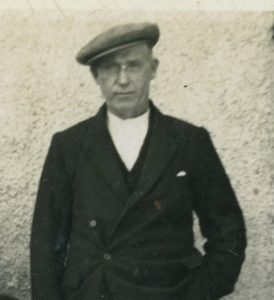 Married Kenneth McRae, Commercial Hotel, Balintore, in 1916. He was Killed In Action, Canadians Forces, France 1918, WW1. One daughter, Jessie. John Morrison, widower, 56, M, Nigg, fisherman. Annie Morrison, daughter, 16, F, Nigg. Ann Vass, wife, 31, F, Nigg. Alick Vass, son, U, 4, M, Nigg. Nicholas Vass, son, U, 2, M, Nigg. Alexander Morrison, M, 30, M, Nigg, fisherman. Jessie Morrison, wife, 35, F, Fearn. Jessie Morrison, daughter, U, 4, F, Nigg. James Morrison, son, U, 3, M, Nigg. Maggie Morrison, U, 55, F, Nigg, fisherwoman. William Morrison, widower, 74, M, Nigg, retired fisherman. Ann Morrison, daughter, U, 31, F, Nigg, fisherwoman. Alexander Morrison, son, U, 27, M, Nigg. Christy Morrison, daughter, U, 25, F, Nigg. Marries William Skinner. Jessie Morrison, daughter, U, 23, F, Nigg. Helen Morrison, daughter, U, 19, F, Nigg. Alexander Vass, M, 75, M, Nigg, retired fisherman. Jessie Vass, wife, 70, F, Nigg. Jessie Vass, daughter, U, 35, F, Nigg. Jessie Vass, grand daughter, U, 16, F, Nigg. Hugh Vass, M, 59, M, Nigg, fisherman. Elsie Vass, wife, 57, F, Nigg. Catherine Vass, daughter, U, 30, F, Nigg, domestic servant. David Vass, son, U, 28, M, Nigg, fisherman. Elsie Vass, daughter, U, 24, F, Nigg, domestic servant. Hugh Vass, son, U, 18, M, Nigg, blacksmith. 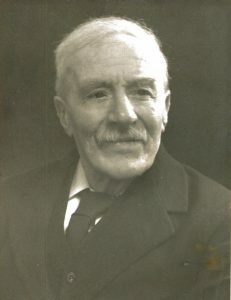 Hugh Vass, blacksmith, Shandwick, born circa 1873. Later blacksmith in the Royal Navy. In the uniform of the Cromarty Volunteer Artillery? James Morrison, M, 32, M, Nigg, fisherman. Margaret Morrison, wife, 35, F, Nigg. Jane Morrison, daughter, U, 8, F, Fearn. Nicholina Morrison, daughter, U, 6, F, Nigg. Andrewina Morrison, daughter, U, 4, F, Nigg. Alexander Skinner, widower, 79, M, Nigg, fisherman. No number 14 New Street listed. Andrew Ross, M, 57, M, Nigg, fisherman. Annie Ross, wife, 49, F, Nigg. Bella Ross, daughter, U, 26, F, Nigg. Blind. Hugh Ross, son, U, 19, M, Nigg, fisherman. Margaret Ross, daughter, U, 13, F, Nigg, scholar. Annie Ross, daughter, U, 11, F, Nigg, scholar. Jessie Ross, daughter, U, 8, F, Nigg, scholar. Donald Ross, son, U, 6, M, Nigg, scholar. Another son, Andrew, age around 18 at time of census, was to die of sunstroke in Basra, Arabian Gulf, while serving in the Royal Navy on HMS Dalhousie, 1916, WW1. David Ross, M, 32, M, Nigg, fisherman. Hughina Ross, wife, 23, F, Nigg. Donald Ross, son, U, 5, M, Nigg. Hugh Ross, son, U, 3, M, Nigg. Admonished for setting fire to whins 1898. 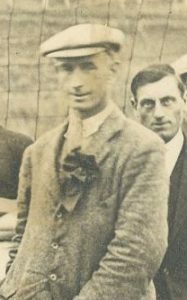 Hugh Ross, born 1st July 1887, Shandwick, Merchant Navy. Annie Ross, daughter, U, 1, F, Nigg. Donald Ross, U, 35, M, Nigg, fisherman. William Ross, M, 33, M, Fearn, grocer. Jessie Ross, wife, 21, F, Nigg. Jessie Ross, daughter, U, 6 months, F, Nigg. Andrew Morrison, M, 71, M, Nigg, retired fisherman. Margaret Morrison, wife, 72, F, Nigg. Julia Morrison, daughter, U, 30, F, Nigg, dressmaker. John Alexander Morrison, grandson, U, 1, M, Nigg. Admonished for setting fire to whins 1898. Andrew Vass, M, 32, M, Nigg, fisherman. Catherine Vass, wife, 30, F, Nigg. Christina Vass, daughter, U, 7, F, Nigg. Nicholas Vass, M, 26, M, Nigg, fisherman. Christina Vass, wife, 25, F, Nigg. Catherine Vass, daughter, U, 6, F, Nigg. Eppy Vass, daughter, U, 4, F, Nigg. Isabella Vass, daughter, U, 1, F, Nigg. Son Andrew, born 1892, Killed in Action in France 1914. Nicholina Skinner, widow, 78, F, Nigg, annuitant. Jane Skinner, daughter, U, 54, F, Nigg, fish buyer. David Morrison, grandson, U, 8, M, Nigg. William Ross, M, 50, M, Nigg, fisherman. Margaret Ross, wife, 44, F, Nigg. Donald Ross, son, U, 17, M, Nigg. Andrew Ross, son, U, 12, M, Nigg. Catherine Ross, daughter, U, 10, F, Nigg. Annie Ross, daughter, U, 7, F, Nigg. William John Ross, son, U, 5, M, Nigg. Admonished for setting fire to whins 1898. 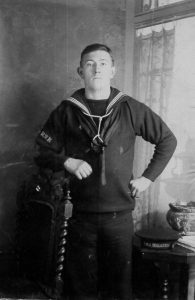 William Ross, born 14th April 1885, Shandwick, Merchant Navy. Helen Ross, daughter, U, 2, F, Nigg. Andrew Vass, M, 54, M, Nigg, fisherman. Jane Vass, wife, 52, F, Nigg. Finlay Vass, son, U, 28, M, Nigg. Jane Vass, daughter, U, 26, F, Nigg, fishermaid. John Vass, son, U, 24, M, Nigg. Jessie Vass, daughter, U, 16, F, Nigg, dressmaker. Alexander Vass, son, U, 14, M, Nigg, scholar. Andrew Vass, son, U, 10, M, Nigg. John Vass, M, 54, M, Nigg, fisherman. Eppy Vass, wife, 52, F, Nigg. John Vass, son, U, 20, M, Nigg. Eppy Vass, daughter, U, 16, F, Nigg, fishermaid. Hugh Vass, son, U, 14, M, Nigg, scholar. Catherine Vass, daughter, U, 10, F, Nigg, scholar. Isabella Vass, daughter, U, 8, F, Nigg, scholar. Andrew Vass, U, 32, M, Nigg, fisherman. Jessie Vass, sister, U, 40, F, Nigg. Barbara Vass, sister, U, 37, F, Nigg. Ann Vass, mother, widow, 75, F, Nigg, annuitant. Andrew Morrison, M, 54, M, Nigg, fisherman. Jane Morrison, wife, 54, F, Nigg. Lily Morrison, daughter, U, 27, F, Nigg, domestic servant. Donald Morrison, son, U, 17, M, Nigg, farm servant. David Vass [Valt], M, 35, M, Nigg, fisherman. Bella Vass, wife, 35, F, Nigg. Jane Vass, daughter, U, 16, F, Nigg, fish buyer. John Vass, son, U, 8, M, Nigg, scholar. Alexander Vass, son, U, 6, M, Nigg, scholar. Admonished for setting fire to whins 1898. Finlay Vass, son, U, 3, M, Nigg. Catherine Vass, mother in law, widow, 66, F, Nigg, annuitant. Finlay Vass, M, 32, M, Nigg, fisherman. Andrew Vass, son, U, 5, M, Nigg. Jane Vass, daughter, U, 2, F, Nigg. Alexander Ross, U, 36, M, Nigg, fisherman. Margaret Ross, mother, widow, 79, F, Nigg, annuitant. Andrew Ross, M, 45, M, Nigg, fisherman. Annie Ross, wife, 38, F, Nigg. John Ross, son, U, 10, M, Nigg. Donald Ross, son, U, 8, M, Nigg. Alexander Ross, son, U, 6, M, Nigg. Andrew Ross, son, U, 3 months, M, Nigg. 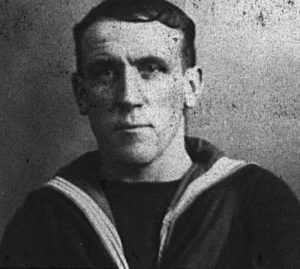 Andrew Ross, born 2nd January 1891, Shandwick, Merchant Navy. John Ross, M, 46, M, Nigg, fisherman. Helen Ross, wife, 45, F, Nigg. Maggie Smith, widow, 44, F, Nigg, fisherman’s widow. Maggie Smith, daughter, U, 12, F, Nigg. Andrewina Smith, daughter, U, 8, F, Nigg. Andrew Ross, M, 58, M, Nigg, fisherman. Catherine Ross, wife, 58, F, Nigg. George Ross, son, U, 19, M, Nigg. Donald Morrison, M, 55, M, Nigg, thatcher. Janet Morrison, wife, 57, F, Nigg. Catherine Morrison, daughter, U, 24, F, Nigg. Georgina Jack, grand daughter, U, 2, F, Nigg. James Ross, M, 69, M, Nigg, fisherman. Ann Ross, wife, 66, F, Nigg. Jane Ross, daughter, U, 27, F, Nigg, dressmaker. Annie Ross, daughter, U, 25, F, Nigg. William Skinner, M, 41, M, Nigg, fisherman. Annie Skinner, wife, 36, F, Nigg. Annie Skinner, daughter, U, 10, F, Nigg, scholar. John Skinner, son, U, 8, M, Nigg, scholar. Elsie Skinner, daughter, U, 5, F, Nigg, scholar. William Skinner, son, U, 3, M, Nigg. Admonished for setting fire to whins 1898. Christina Skinner, daughter, U, 7 months, F, Nigg. Andrew Ross, M, 42, M, Nigg, fisherman. Jessie Ross, wife, 37, F, Nigg. Andrew Ross, son, U, 13, M, Nigg, scholar. James Ross, son, U, 11, M, Nigg, scholar. William Ross, son, U, 9, M, Nigg, scholar. Donald Ross, son, U, 4, M, Nigg. Margaret Ross, daughter, U, 2, F, Nigg. Annie Ross, daughter, U, 6 months, F, Nigg. Margaret Ross, sister, U, 48, F, Nigg, fish buyer.